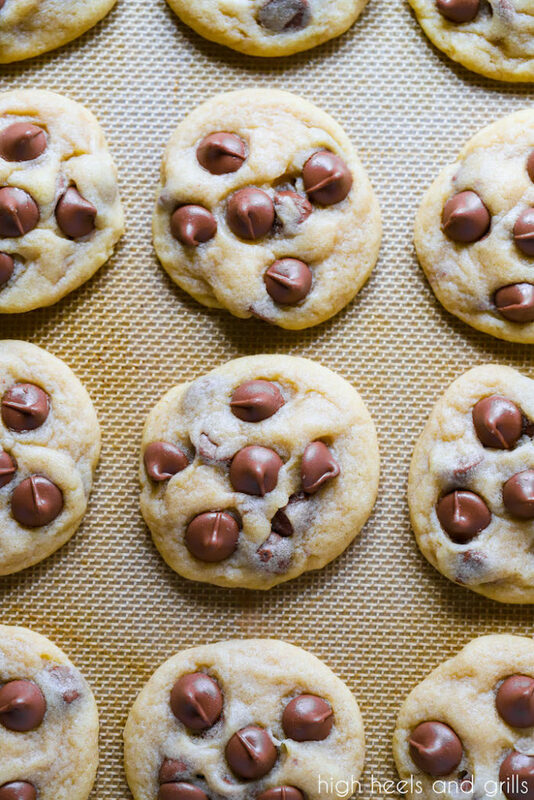 If you’re looking for the best chocolate chip cookie recipe, this one is it. They come out perfectly soft, chewy, and buttery every time. 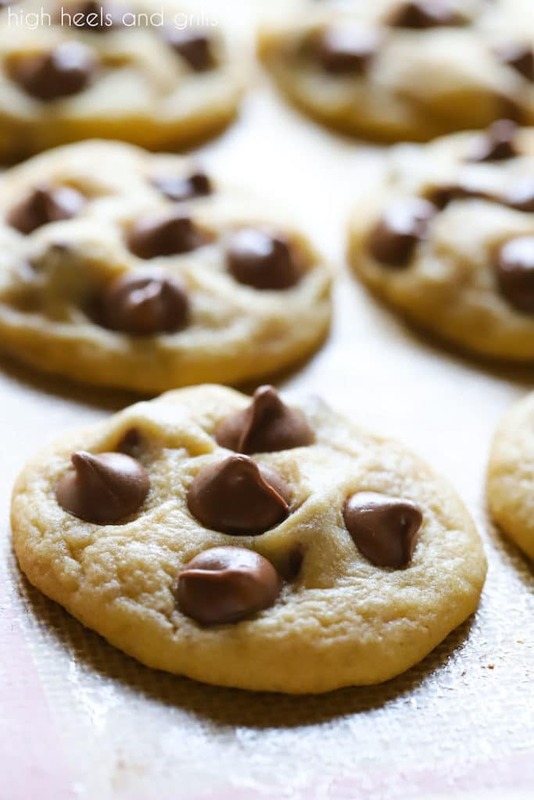 If you haven’t tried my take on the best chocolate chip cookie recipe in the world, then you need to drop everything right now and change that! I grew up hating chocolate chip cookies. I know, so crazy. I can remember eating just the plain cookie and then gathering the uneaten chocolate chips in a pile on my plate. I still can’t believe I was ever like that, but I guess it has probably made me pretty selective for which chocolate chip cookies are worth eating these days! I’m not sure what gave me a change of heart, but am I ever glad it did, because I don’t want to live in a world without these perfect chocolate chip cookies. My best friend and I loved to make food together growing up. There were many afternoons spent in her kitchen after school, baking all kinds of things. These chewy chocolate chip cookies were a staple in her house and she taught me how to make them. I don’t know that I’ve quite perfected them like she has, but they come pretty dang close! Don’t overbake them. Not even a little. They should have only the slightest hint of brown on them, nothing more. They might seem like they’re not done when you take them out, but I promise once they cool, they will turn into a buttery, soft, chewy delight. If you forgot to leave the butter out to get to room temperature like I always do, use my favorite method for softening it! Place the butter sticks in a circle in the microwave and cook them on high for 5 seconds. Flip them inward to an adjacent side and microwave them for another 5 seconds. Do this 2 more times, until they have been microwaved on each side, for a total of 20 seconds. Some microwaves have different wattages, so you may want to start out doing only 4 seconds on each side to get an idea for how your microwave works. Or you can continue flipping the sticks for another 2-3 seconds on each side if they are still hard. I hope this helps! Adding the flour, baking soda, and salt together in a separate bowl may seem annoying to dirty an extra dish, but it will make sure the salt and baking soda are distributed evenly, giving you even rising and a balanced flavor! 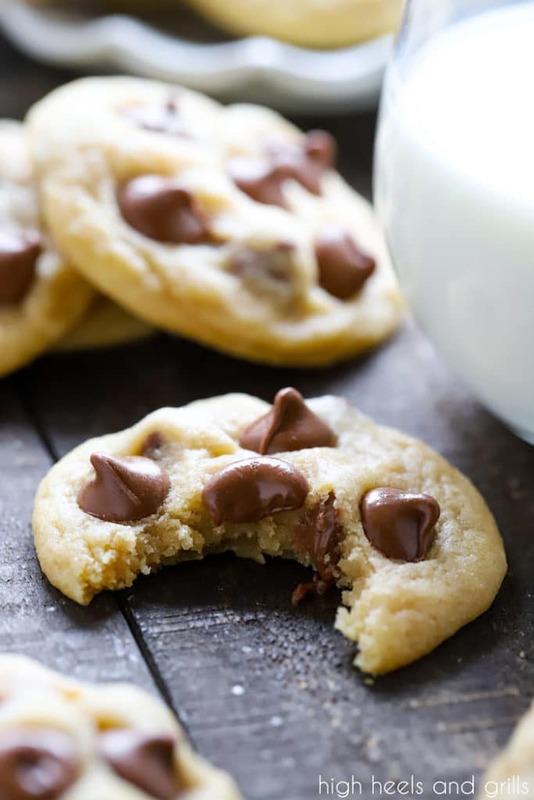 I have had friends tell me that they make these perfect chocolate chip cookies weekly or that it’s the only recipe they use when taking cookies to neighbors and I most definitely have only had good reviews for them.This recipe has ruined me for all other chocolate chip cookies. I really hope you love these as much as we do! Preheat the oven to 375°F and line a cookie sheet with parchment paper. Cream together the sugars and the butter until light and fluffy. Scrape the sides with a spatula, as needed. Add the eggs, one at a time, and mix well between additions. Scrape the sides with a spatula. In a medium bowl, combine the baking soda, salt, and flour. Add the flour mixture to the butter mixture, 1/2 cup at a time, until it is fully incorporated and the dough begins to pull from the edges. 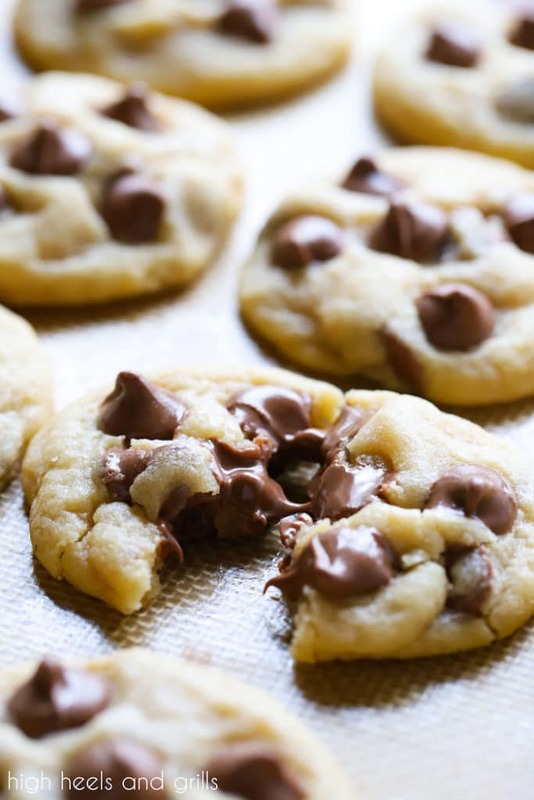 Drop by the spoonful onto an ungreased cookie sheet. Transfer to a cooling rack and let cool completely. This will help everything to solidify and end up soft and chewy. These look delicious! My recipe is very similar… Makes me want to whip out a bunch today. Good to know that it’s okay to use bread flour – I accidentally purchased it one time and thought I’d have to save it for rolls, etc. wow these look amazing, beautiful photography! I’m a cohost of the blog hop, thanks for joining in! Don’t forget to follow me on gfc or bloglovin! Ha ha, your boss is awesome! I’ll definitely try those. The only problem is the brown sugar you get in Germany because it’s different. Oh yum, they do look like incredibly good chocolate chip cookies – I definitely have to try this recipe! 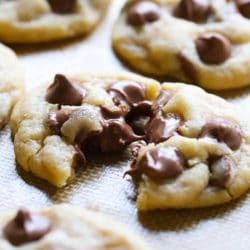 This is hands down the best chocolate cookie recipe on Pinterest. Amazing. 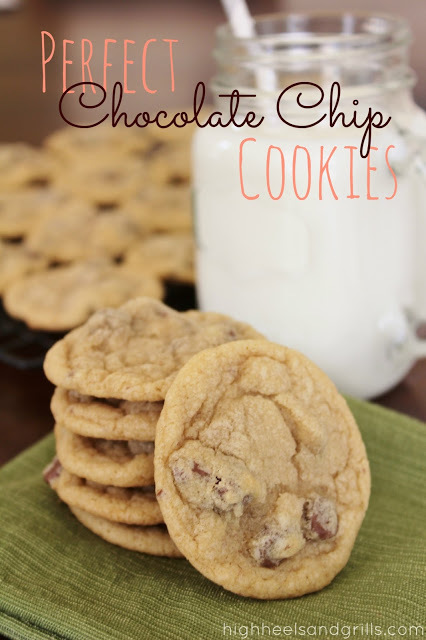 This is the best chocolate chip cookie recipe I have ever tried! 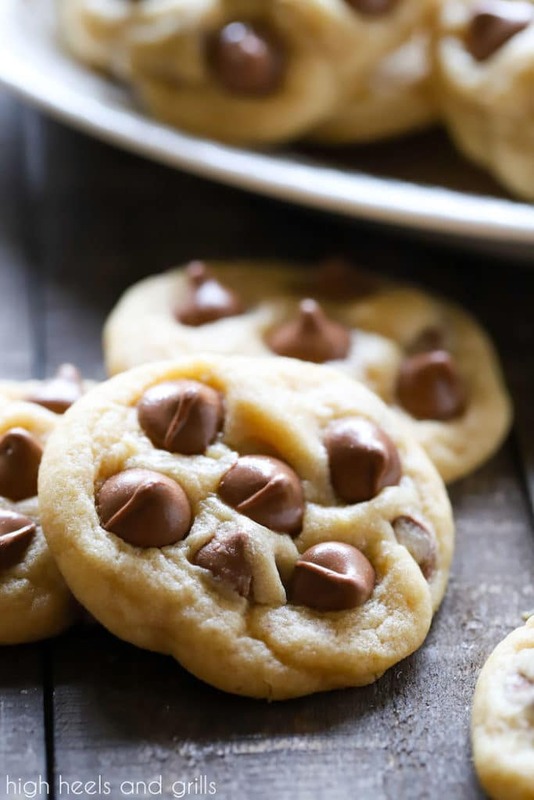 I’ve always tried and tried to get the best consistency with my cookies, and I couldn’t achieve it until I tried this recipe. I may reduce the amount of white sugar to 3/4 cup but that is just a personal preference. Thank you again for a great recipe!